we are Wolfgang and Jessica. 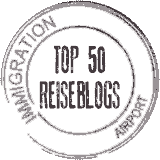 Thanks for stopping by at „The Travel Flash“ (That’s what „reiseblitz“ translates to). reiseblitz.com is a travel blog about road trips, short and round trips all around the globe. We travel „efficiently“. That does not necessarily mean quickly. It is more about making the most out of the time at a destination by preparing the trip accordingly. We both work full time. Thus, we cannot just take other bloggers‘ approach and head on a world journey for a year or so. This is how the travel flash came to our mind. A long weekend or some days off are too little time to see the world? Not for us! On our page we provide inspiration on how to get a good insight in a destination even if we are there only for a business trip. Unfortunaly, for now, our contents are only available in German. However, if you would like to see this page in English please feel free to drop us a line or leave a comment on our social media. If there is enough interest, we will consider making this site bi-lingual. We are looking forward to hopefully seeing you around here more often soon. Meanwhile, have fun travelling!